Recorded live at the Warfield Theater, San Francisco, September 25-October 14, 1980, and at Radio City Music Hall, New York, October 22-31, 1980. WARFIELD CONCERT PRODUCTION by Bill Graham Presents: Bill Graham, Peter Barsotti, Bob Barsotti, Drew Holmes, Rudy House, Bob Hall, Sherry Wasserman, Jan Rasmussen, Scott Ferry; Thanks to: Neal Sorenson, David Murphy and the Warfield Staff, and the S.F.I.A.S.T.E. RADIO CITY CONCERT PRODUCTION by Monarch Entertainment: John Scher, Amy Polan, Mo Morrison, Frank Stetler, Shelley Diamon, James McGrath, Phil Guiliano, Peter Michelini; Thanks to: Patricia Morinelli, Bob Buckley, and the Radio City staff, and to the N.Y.I.A.S.T.E. Reckoning was recorded live September 25 through October 14, 1980 at the Warfield Theater in San Francisco and also October 22-31, 1980 at Radio City Music Hall in New York City. 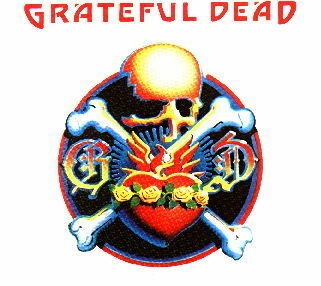 It was released on April 1, 1981 and was recorded at the same shows as the album Dead Set. This is mainly an acoustic album.